A Coasteering Adventure at Hook Head and along the Hook Peninsula with Hook Head Adventures is an experience to get excited about! Experience the thrill of jumping off these ancient limestone slabs into deep blue waters, swimming through sea caves and scrambling over rocks surrounded by stunning scenery. There is always the chance of seeing seals, porpoises, gannets, sun fish, star fish and other amazing creatures on this adventure to remember. With such a vast amount of features available, Coasteering Hook Head will never disappoint. If you like adventure, the question is not if, but when? Why Coasteer with Hook Head Adventures? Our wetsuits are thick and super warm – we clean all our wetsuits with special eco cleaner after every use, fresh for when you put them on! We provide wetsuit socks and gloves for extra warmth and comfort while coasteering Hook Head, as well as buoyancy aid and helmets. We give a FREE place to the Stag/Hen/Group Organiser for groups that are larger than 10! 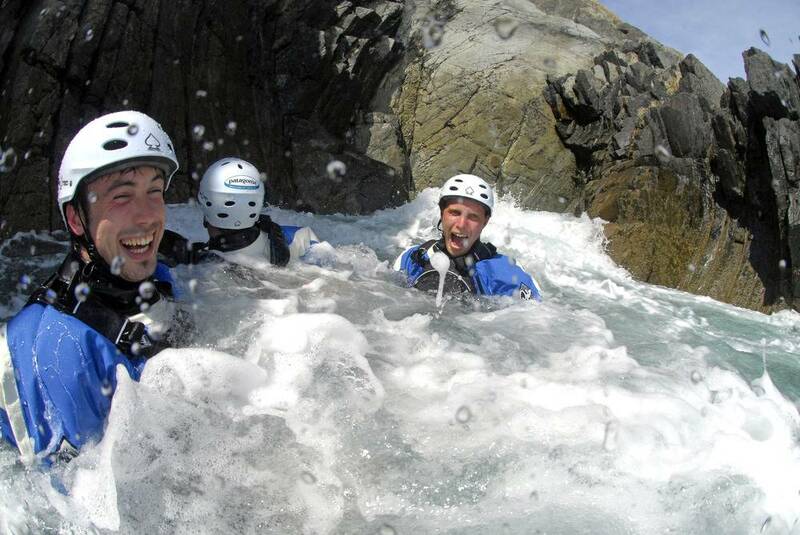 We can offer alternative water activities, should the weather/conditions not suit Coasteering. You’ll never be stuck on the day with nothing to do!